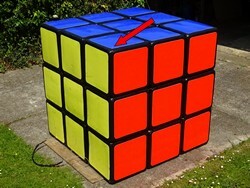 We’ve all had our moments trying desperately to solve a Rubik’s Cube, some more successfully than others. Skip to the 2 minute mark to see tiny cube solution in action. We have to admit it’s pretty mesmerizing. 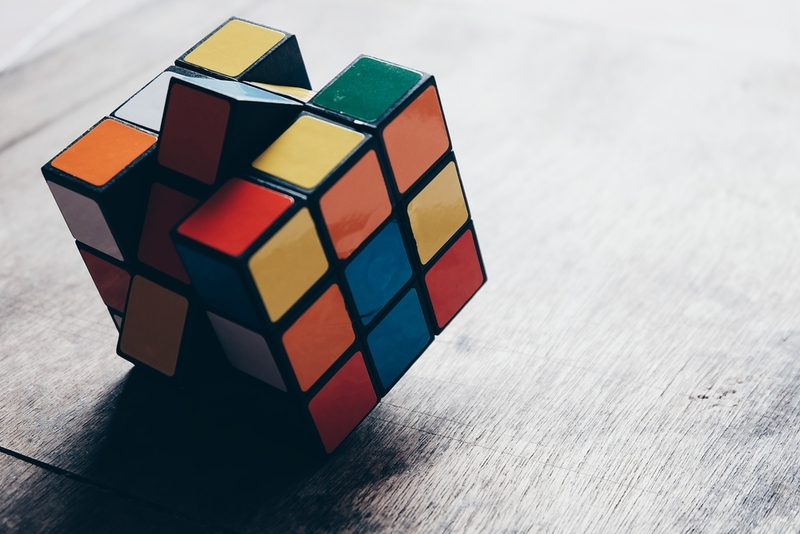 The cube was designed by Tony Fisher, who also created the world’s largest Rubik’s Cube in February 2016. The large cube is more than 220 million times bigger than the small one. 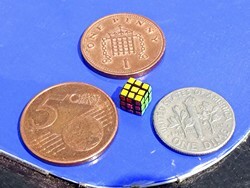 For even more perspective, here are some pictures from Fisher’s website and the video, showing the baby cube juxtaposed with several larger objects. 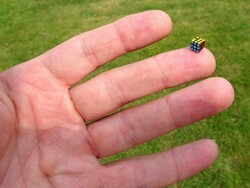 Just a lil’ Rubik’s Cube, handing out on a finger. And here it is sitting atop of the world’s largest Rubik’s cube. It’s so tiny, you can’t even see it. In a video explaining the development of his most recent creation, Fisher details the development process, which involves a 3D printer. He concedes that, as a result, it may not be properly proportioned and thus not *technically* count as a true Rubik’s Cube. Though it looks like a proper nugget of a Rubik’s Cube to us, he isn’t sure it will meet the qualifications for the Guinness World Record. Either way, we want one.